Rare opportunity to own at Cabot Estates, Boston's unique gated community on 23 acres. This end unit town home is located in a four unit building. This unit has an open floor plan kitchen, dining room and living room. Gleaming hardwood floors throughout, a modern kitchen with custom cherry cabinets, quartz counter tops and porcelain tile flooring. Perfect for entertaining. The master bedroom features an en suite master bath, hardwood flooring, custom closets and electric blinds. The lower lever has an office and second bedroom both with sliders to a private deck and exclusive use yard. In addition, the lower level has a full bathroom and in-unit laundry. This unit also features a one car garage under and 1 deeded parking spot. Cabot amenities include 24-7 security, tennis courts, outdoor pool, fitness center and clubroom. 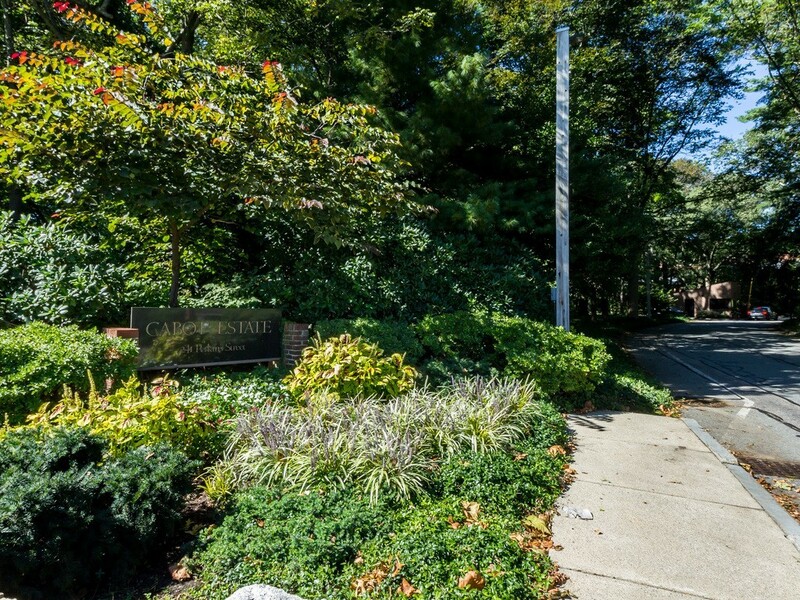 Just steps away from Jamaica Pond for the outdoor enthusiast and moments away from Longwood Medical, Coolidge Corner and Chestnut Hill Shopping!